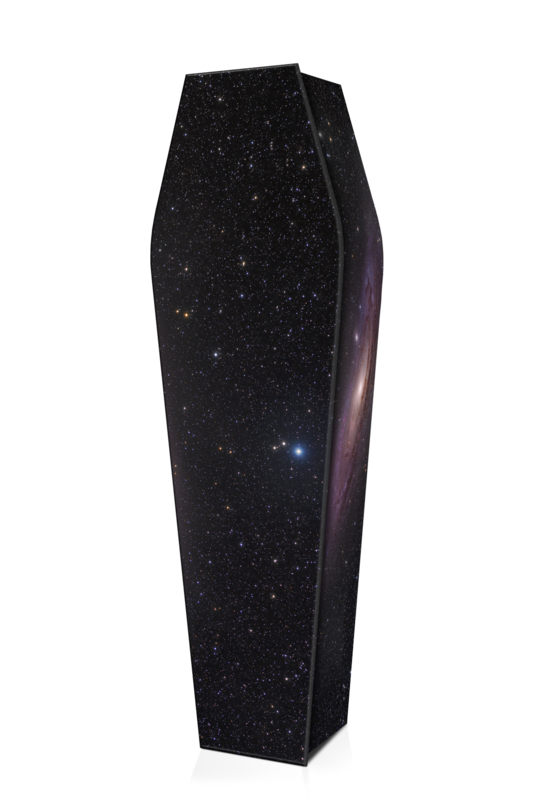 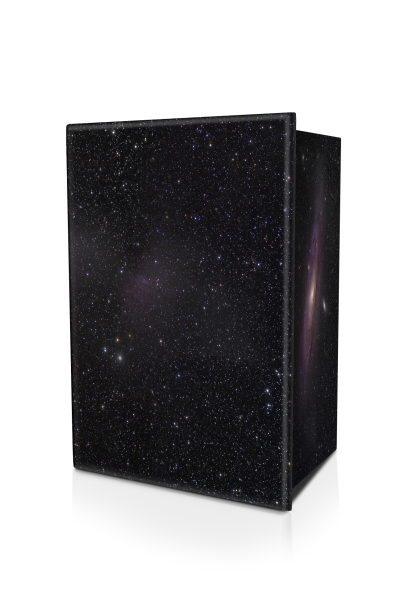 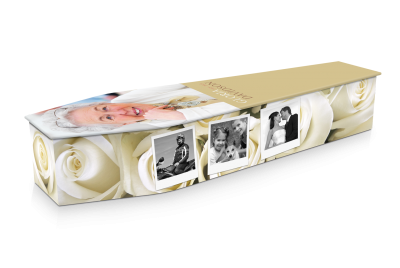 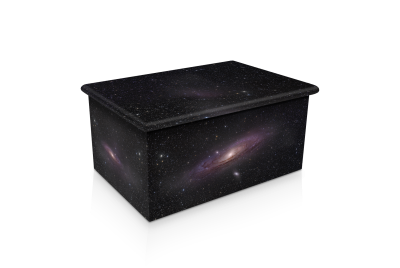 This star covered coffin features the Andromeda Galaxy. 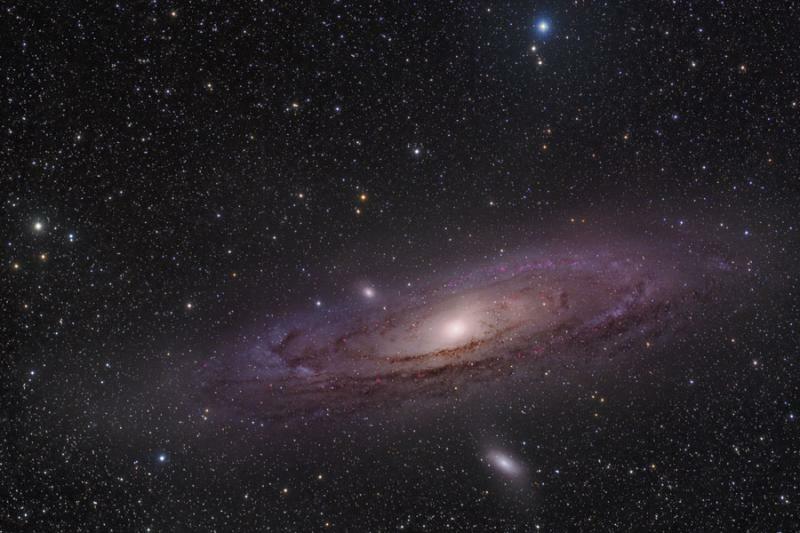 The Andromeda Galaxy is a spiral galaxy approximately 2.5 million light-years away from earth and gets its name from the area of the sky in which it appears, the Andromeda constellation. 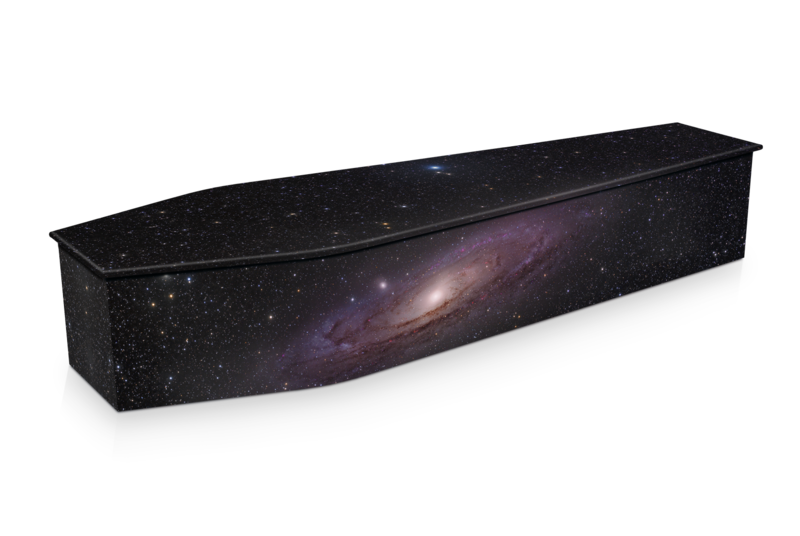 The galaxy contains one trillion stars which is twice the number of stars in our Milky Way galaxy.